Melanie Nathan – Jan 03, 2010- The Civil Society Coalition on Human Rights and Constitutional Law in Uganda warmly welcomes and applauds today’s decision by High Court judge, Justice V.F. Kibuuka Musoke in the case of Kasha Jacqueline, Pepe Onziema & David Kato v. Giles Muhame and The Rolling Stone Publications Ltd. Through its members Kasha Jacqueline, David Kato and Patience Onziema, the Coalition filed a complaint in the High Court against the Rolling Stone. The Court issued an interim order restraining the editors of the newspaper from any further publication of information about anyone alleged to be gay, lesbian, bisexual or transgender until the case could be finally determined. publication infringed the rights of the applicants or threatened to do so’. 5) Section 145 of the Penal Code Act cannot be used to punish persons who themselves acknowledge being, or who are perceived by others to be homosexual. Court ruled that ‘One has to commit an act prohibited under section 145 in order to be regarded as a criminal.’ Clearly this applies only to a person who has been found guilty by a court of law. ermanent injunction preventing The Rolling Stone and their managing editor, Mr. Giles Muhame, from ‘any further publications of the identities of the persons and homes of the applicants and homosexuals generally.’ The injunction thus provides broad protection to other Ugandans who are, or who are perceived to be homosexual, and the ruling provides an important precedent should any other media attempt to publish similar information. The court further awarded UGX. 1,500,000/= to each of the applicants, as well as ordering that the applicant shall recover their costs from the respondents. establishes the principle that constitutionally protected rights belong to all Ugandans, whatever their perceived sexuality.”. “While this injunction is a positive step for gay people in Uganda, the fact remains that the government of Uganda has for long been mute about the discrimination, threats and violence faced by LGBTI people in Uganda,” said Kasha Jacqueline, one of the applicants and also Director of Freedom & Roam Uganda. The paper contained the names and in some cases the pictures and description of where certain activists and human rights defenders live. A later edition of the newspaper published on 31 October contained a further 17 photos of alleged LGBT people, with personal details of those identified, including where they lived. The Ugandan government made no response following either publication. “The climate of fear created by the simple tabling of the Anti-Homosexuality Bill in 2009 has already adversely affected not just Ugandan nationals, but also LGBTI asylum seekers. It is really time for the Government to explicitly reassure all people in Uganda, wherever they come from, that they intend to protect people against threats and violence regardless of their real or alleged sexual orientation,” said Dr Chris Dolan, Director of the Refugee Law Project at Makerere University. “This important ruling goes at least some way in the right direction”. This ruling is a landmark not only for sexual and other minorities living in Uganda, but also an important precedent for other countries facing similar issues of state and media sponsored homophobia. As a Coalition concerned with human rights and constitutional law, we applaud the High Court for taking this principled step. In standing up for the rights of Uganda’s most marginalised they have at the same time strengthened the protection by the law of all people in Uganda. Thanks to Friend in Uganda. Melanie Nathan – 01-05-2010; The Editor of Rolling Stone Tabloid in Uganda, issued a PRESS RELEASE Monday in retaliation to the Uganda Court ruling, restraining the Tabloid from outing Gays and Lesbians. The ruling, a victory for the Ugandan LGBT community, is more than Rolling Stone and the Ugandan supporters of anti-gay legislation can stand, and so they are lashing out at the community, inciting even more hate with Press Releases such as the one we have quoted below. After reading the Press Release, I called its author in Uganda and conducted an impromptu interview. The Tabloid was also charged with having to compensate the victims whom it had outed on the front cover story we reported on last year. Homos had a short-lived smile today morning after The Rolling Stone management announced it would appeal against a High Court ruling which “permanently restrains” the investigative newspaper from outing their pictures. Court at 10:00am said the newspaper should give these self-confessed criminals shs4.5m as compensation for violating their right of privacy. This was in total disregard of the fact that the shamed homos’ pictures had appeared on a gay-networking website –gaydar.co.uk. Justice Kibuuka Musoke said in his ruling read by the court registrar that by quoting a church leader calling upon government to hang homos, the newspaper put the lives and dignity of these fellows at risk!! Can a newspaper incite government against a homo? If this is not fantasy then what is it? Hanging is done after the due process of the law has been followed. Simple facts. We would have paid them but doing so is as good as “paying a tribute” to those who promote sexual identity confusion and related madness. Our lawyers said the controversial ruling does not only condone but perpetuates immorality with impunity. It further sets a dangerous precedent for the nation and future generations. It also puts media freedom at stake. The newspaper managers have resolved to register our grievance with the President’s office. We remain strong that indeed in times of war, losses are expected. The newspaper will fight homos on different fronts. Our supporters should remain strong –the agents of the devil shall be defeated. Sanity must prevail at all costs. After reading his Press Release, I called Mr. Muhame, the Managing Editor of the Rolling Stone Publication in Uganda. He was very friendly – greeted me like a long lost friend with a resounding, Happy New year. I said, “Sir I am surprised, you sound like a really nice person, so friendly; He said “I am really nice, people are demonizing me but that do not know I am a very nice person.” And so we continued…..
Melanie: Most people in the western world think your statement and what the tabloid has done is outrageous and so they assume you are not a nice person. Muhame: I am confused, I do not understand why people are outraged by us putting those pictures on our magazine page. We did the right thing to show those pictures. The Tabloid will win the appeal. We must expose criminals. The homos argued that their right of privacy- had been breached when we published their pictures – but we must reveal these criminals to protect our children, Homosexuality is spreading like wildfire and we must stop it. The parliament is trying to strengthen the weak law. Melanie: Do you base the idea of immorality that you speak of in your Press release on religion? Muhame: No Homosexuality is illegal – and that if a person is caught in the act, they can be arrested. That is how the law is now. The new legislation which we hope will receive quick passage as soon as February, will tighten the weak law. The law is based on immorality for an ACT committed against the order of nature.” The new law will tighten this to refer to homosexuality in more specific terms and to criminalize it with stiff penalties. 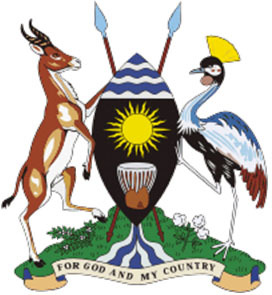 Melanie: What about people leaving Uganda; the law would say they must be extradited back to Uganda; why not help the people get out of Uganda, I have an idea- why not simply say – leave Uganda and we will organize your safe passage with other countries willing to rescue you. Then help the gays and lesbians and transgender people board planes of foreign countries to leave as refugees? Muhame: (Laughed) If a person comes OUT and says they are gay or we find that out, under the new proposed law, then they are confessing to a crime. So how can we help the criminal to leave? The order of nature says that men must sleep with women and make children. Uganda must look after its people and curb immorality. So it must be a serious crime. Muhame: I will have no problem to follow the law. The law is the law. I will give my child to the authorities and will let it be what must be – if he must go to Jail or hang that will be fine if he is homo. If the law is there the homo should be hanged -he will pay the price. They will have to go to prison. Melanie: Are you concerned that the USA and Western States may have to pull embassies, businesses, employees out of Uganda to safeguard against the possibility of committing a crime through employment of Gay and lesbian employees; and are you concerned about the economic impact of possible boycotts? Muhame: We are not a colony anymore – we are independent. Soon we will have enough of our own oil and we will not need America or outside Countries. We are self sufficient and we will be okay, That is not a threat for us. If America stops the AID we will be fine. We can work harder- we do not need America. Melanie: So you are not at all concerned about your standing in the International community and people of Uganda will be fine with isolation? Muhame: I am not a member of the Government but I know I speak what the people understand and people call us the Nazis of Africa and the Gays are the JEWS of Africa. They call themselves that to get sympathy. Melanie: What harm do the Ugandans think Gays can cause in Uganda; why is it not possible to leave he Gays alone to their privacy between consenting adults? Muhame: We cherish the traditional family. Homos spread aids and have orgies and are drug addicts. There are higher mortality rates and increasing because of homos. We have big problems of poverty in Uganda. Melanie: Is poverty is the fault of the homosexuals? Melanie: Do you realize that Hitler and the Nazis blamed the Jews in Germany for the economic problems and that was a justification for the Genocide? Muhame: But here in Uganda we think that homosexuals are very few so the country can do without them. It will not matter if we take them out of society. The future of our kids is at stake. Homosexuality is illegal so if you commit a crime you have done an illegal act so we want to put them in jail and not let them out. Melanie: So what is your plan if you loose the case on appeal? Muhame: Rolling Stone Tabloid had plans for a campaign to drum up support for the (kill gays) Bill and we will not be afraid to lose our liberty and to publish the picture of the homos again even if the Court says we cannot. I will go to Jail for the people of Uganda. Rolling stone must continue with its plan- to help our people even if we risk our own liberty. I am prepared to go to jail but I will continue to publish picture and OUT more Homos. Rolling stone will support all the candidates in the election that support the new homo bill and we will give the magazines for free to all the schools when the kids get back to school. When the students come back to school and Universities, we are going to defy the order of Court and we decided that we will hold demonstrations and drum up support for the bill to be passed as soon as possible. We will sacrifice our liberty we going against the order of God. We will publish their pictures without fear from the courts. I am willing to go to Jail. Our constitution empowers the people – if they do not want homo they can fight for it that is our decision. Mainstream media is soft so Rolling Stone will do something to help the people of Uganda. At the end of the conversation – and there was a lot more, we decided to remain in touch. I promised Muhame that I would try to answer his question if he promised to publish it unedited in Uganda’s Rolling Stone Magazine – I would provide the answer to “WHY is America Outraged by the Outing of gays in their Magazine.” He said he would be willing to listen. At the end of the conversation I asked him if he would like to hear about my life. I told him I was born in South Africa, that I had been against the apartheid Government, how I supported Nelson Mandela and then the clinger – about my life in the USA, my work and my children and their achievements. I then said I would give him permission to OUT me on his tabloid… that I had not fear because I believed that I had conducted my life with a strong sense of morality and that my Country allowed me to live openly as a lesbian. He said he respected the discussion and that he would be open to hearing more from me about my side. What I got from this conversation and from the underground sources that I have in Uganda, is that the situation is very serious and there is a good chance that the antigay bill can pass. The people of Uganda are very far gone in their indoctrination and accordingly, the Western World had better come up with a plan, as a matter of urgency or lives will be lost to legalized hate that will follow.